2.2 What Do Grasshoppers Eat? You’ve cultivated an amazing garden, full of lush greens and veggies, only to have it relentlessly attacked by grasshoppers. Unlike many garden pests, which focus on one type of plant, grasshoppers aren’t too picky and can obliterate most of the plants you’ve spent all season growing. 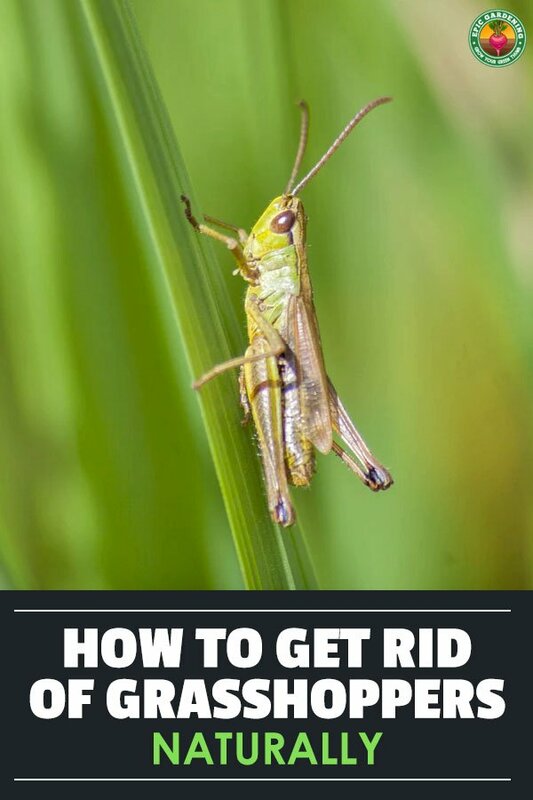 In this guide, you’ll learn ​many different ways to prevent, control, and kill grasshoppers, even if they’ve already infested your garden. Grasshoppers can decimate your garden. They eat around 50% of their weight every single day. No matter where they are in their life cycle, they’ll chew away at both the stems and leaves of plants in your garden. If left unchecked, this damage can become severe, leaving your entire garden without leaves, unable to grow. Grasshopper Fact: Recent figures suggest that grasshoppers eat 1/4th of the total available plant material in the western states of America. Adults (1-2 inch long) are brown to reddish yellow or green in color with prominent jaws, fully developed wings, and short antennae. They have enlarged hind legs and can jump great distances. Immature stages, or nymphs, are similar in appearance to adults, but are smaller and have wing buds instead of wings. Not all grasshopper species are bad for your garden, but the ones that are all have a similar developmental cycle. Learning how their life cycle works is step one to killing grasshoppers before they can destroy your garden. Grasshoppers lay their eggs at the end of the summer, buried in the soil in pods. These eggs lay in the soil through the winter, going into diapause, and hatch in early spring. As soon as they hatch, grasshopper nymphs immediately start to consume plant matter in the area where they hatch. As they grow, they begin to exhaust the food supply and start to move to new areas. Grasshoppers are found all around the world — in fact, the only continent that isn’t plagued by them is Antarctica. 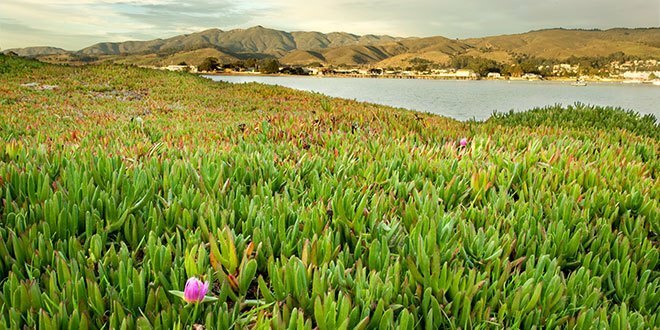 While you can find them in many different types of landscapes, they prefer warm, dry climates and areas with low-lying grasses and plants. This means you’re likely to find them in fields, deserts, meadows, grasslands, and mountains. And your garden, of course. Hungry grasshoppers like gardens because they have optimal moisture and excellent plant growing conditions. That gives them an abundant food supply that they don’t have to spend much energy to get to. It might be tempting to just pick one method out of the list you’ll find below, but you will have better results by mixing a few different methods to form an integrated approach to grasshopper control. This way, if one method isn’t 100% effective, the other techniques can pick up the rest. The first line of defense against grasshoppers is to either create an unattractive garden environment for them, or to create an attractive environment away from your garden. Thankfully, these aren’t ‘weird’ veggies that I don’t have a use for besides repelling grasshoppers. I eat squash, peas, and tomatoes ALL of the time, so planting even more to repel those pesky bugs isn’t a burden on my garden! If given the choice, grasshoppers prefer to feast and hide in tall grass. 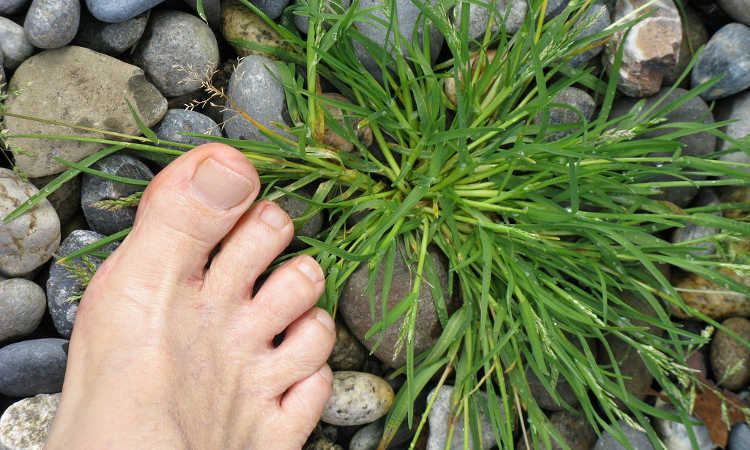 If you have the space, add grass around your garden as the summer draws to a close. You can use it as a hedge against any grasshoppers, providing them a better habitat than your precious garden. As long as you are weeding your garden effectively, the grasshoppers should settle in the grass and not your garden. If you don’t have grasshoppers in your garden and want it to stay that way, using a floating row cover or a fabric barrier is a great way to protect your plants. The fabric should be held up with hoops, although stakes will work decently. Whatever you do, make sure that plants are not touching your floating row cover, because grasshoppers can still attack them from the outside of the fabric. Harvest-Guard has 5×50′ and a 5×25′ row cover fabric that is well-reviewed and will get the job done if you decide to use this technique. You can take advantage of the grasshopper’s life cycle by roto-tilling your land in early spring. We know that they lay eggs in late summer, the eggs are dormant over winter, and hatch in spring. This means that an early spring rototill can destroy the egg pods and disrupt the life cycle of this pesky green hopper. If you want to add another grasshopper prevention tool to your garden, consider organic grasshopper sprays and baits. Some of the following can be homemade and others must be purchased from your garden store or online. 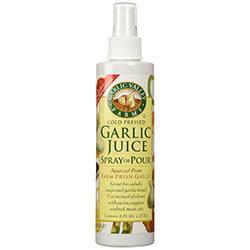 ​Garlic spray has been shown to deal with grasshoppers pretty well. They really don’t like the smell or taste of garlic, so coating your plants in garlic spray is a great way to prevent them from a grasshopper’s hungry appetite. Use a highly concentrated version so you can dilute it and spray it over a large area with a pressurized spray bottle. While you can make your own garlic spray​, there are fantastic commercial garlic sprays available on Amazon that I use in my own garden instead of making it myself. 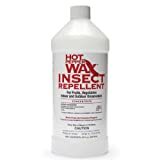 ​Hot pepper wax spray is another application that works by being a disgusting flavor for soft-bodied insects like grasshoppers. They just can’t stand the taste of the cayenne pepper, which is the main ingredient in this concentrated spray. Applying it to the leaves of your garden, especially on the plants more prone to grasshopper attack, should go a long way to repelling grasshoppers. 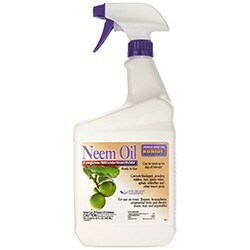 Neem oil is a popular organic application that’s used as a fungicide as well as a pesticide. 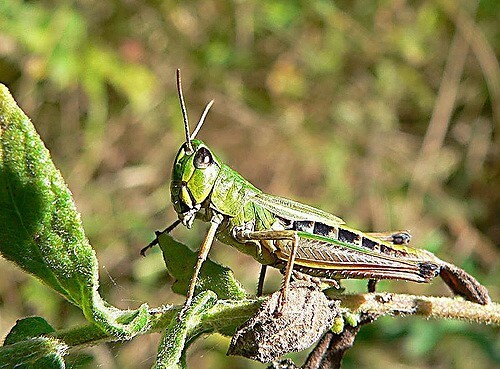 Some gardeners have success with neem oil for grasshopper control, while others report that they prefer using other methods. Either way, it has been shown to both repel grasshoppers and inhibit their egg-laying process. That disrupts their life-cycle and ideally means you won’t have to deal with them in the coming spring. 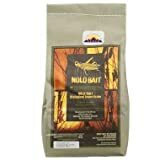 Nolo bait is a product that takes advantage of a disease that affects most species of grasshoppers, Nosema Locustae. This is a single-cell organism that will infect and destroy grasshoppers in every stage of their developmental cycle. While they do affect some other types of crickets, the cross-species damage is low. When using nolo bait, you have to time your application correctly. If you don’t get to the grasshoppers after they have hatched and are nymphs, the effectiveness of the treatment will be diminished. When they are about 0.25″ long, apply the nolo bait. Grasshoppers that consume this will have their blood poisoned, causing death. Here’s where it gets interesting: the remaining grasshoppers will eat the dead ones, causing them to be infected as well​. 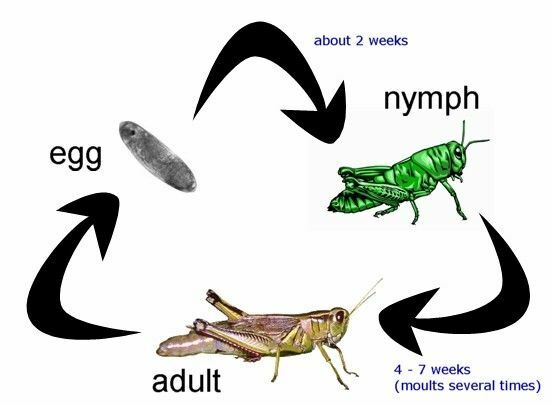 This infection mechanism means that nolo bait can attack grasshopper infestations over the course of multiple life cycles, because all it takes is 1 infected hopper to keep the disease spreading.​ Use it over large areas to be sure that you are infecting enough grasshoppers for the disease to wipe them out completely. Common Uses: Soap. Face & Body Masks. Bath Fizzies. Kaolin clay is a newer type of grasshopper prevention that may be useful to you. It’s a powdered clay that is mixed with water and soap and then sprayed onto the leaf surfaces in your garden. This causes a film to coat the leaf surface, repelling grasshoppers. Many people find kaolin clay to be unsavory because it makes their garden look uglier, but some people love the prevention measures. 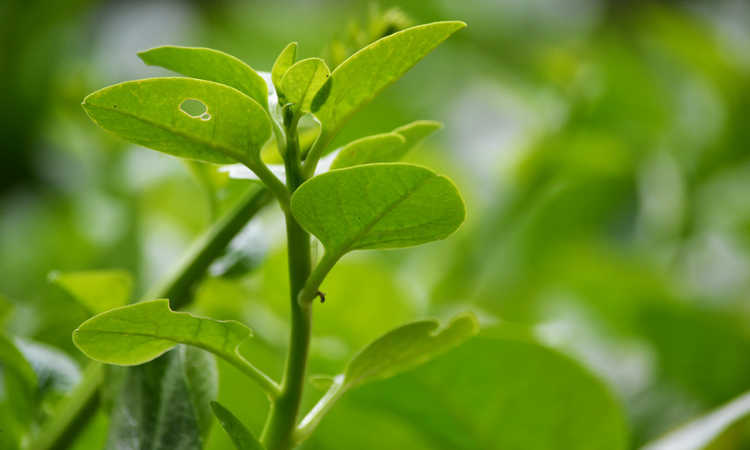 Another thing to consider is that you’ll have to wash your greens and harvests more thoroughly if you are using kaolin clay because it is a leaf coating. 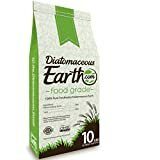 Diatomaceous earth is a popular garden additive for many different reasons, but most notably because of how it affects pests that you don’t want in the garden. It’s made up of the shells of fossilized algae. When it comes in contact with a soft-bodied insect like a grasshopper, it effectively dehydrates their body, causing them to die. You can purchase organic pesticidal soaps that can destroy grasshoppers with ease. They contain fatty acids that dissolve the body of the grasshopper immediately upon contact. This causes them to lose water, dehydrating them. Death follows shortly. You must be careful when using these products though and make sure that they won’t have the same effect on your plants! The last thing you want to do is spray for grasshopper control and end up killing your plants as well. Chickens, guinea hens, and even ducks absolutely love munching on grasshoppers. Contrary to what the grocery stores would have you believe, chickens love to eat bugs and are omnivores, not herbivores. Wild birds also enjoy munching on a hopper from time to time. In the summer, see if you can encourage these birds to frequent your garden in search of grasshoppers. The best way to do this is to add posts, trellises, and other vertical structures for them to sit on while they survey the garden. Q. What is the difference between grasshoppers and locusts? A. Many gardeners think that grasshoppers and locusts are the exact same bug. All locusts are grasshoppers, but not all grasshoppers are locusts. It’s kind of like how all squares are rectangles, but not all rectangles are squares. Q. So what differentiates a locust from a grasshopper, then? A. The biggest difference is in their behavior patterns. Locusts fly and swarm together when there are a lot of them in the same place, while grasshoppers do not exhibit this swarming behavior. Q. Grasshoppers are destroying my strawberries! Help!? A. If these green hoppers are munching on your strawberries, make sure to use safe methods for control, especially if you are spraying. Remember, you’re eating the berries! Many commercial strawberry farmers have good results with either the garlic spray or hot pepper wax spray that i mentioned above. While it’s true that grasshoppers won’t actually eat the berries, they can decimate the leaves, which will severely inhibit the yield of your strawberry plants. 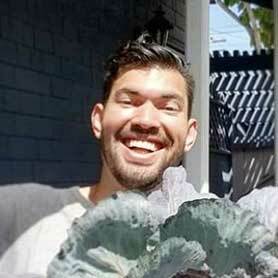 Compost vs. 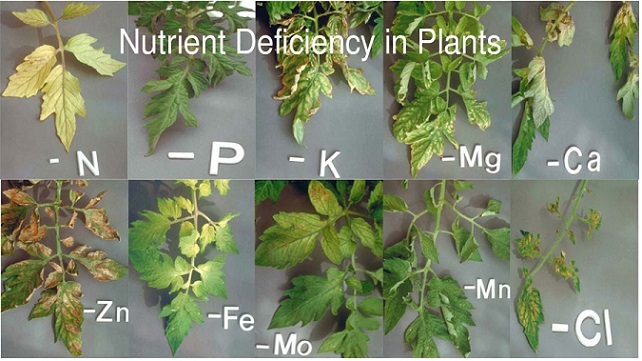 Fertilizers: What’s the Difference? All squares are rectangles but all rectangles are not squares is the correct analogy. D’oh, brain farted there. Fixed! I regret you have this precisely backwards. All squares are rectangles (any four-sided polygon with all right angles), but not all rectangles are squares (which add the requirement that all sides be the same length). You’re totally right! I fixed it! The grasshoppers around here loved my sage plants this year. It was one of their favourites. Sorry to hear it JC! Were you able to control them?